The Upper Body Orthosis with Long Sleeves assists with upper extremity stability/function and sensory deficits. It is ideal for those with Hypotonia, Cerebral Palsy, Down Syndrome, Athetosis, Rett Syndrome, Autism, and Sensory Processing Disorder. Measure each child according to the Sizing Guidelines for a good fit, never select a size for your patient based on "eye-balling" the SPIO® orthosis. When donning the UBO, make sure you have the sleeves turned properly so they are not twisted. This can cause a bad fit in the armpit area.
" We received our son's shirt three days ago. He is 4 years old, autistic, and has some severe sensory issues. This shirt is already making our lives so much easier. When he wears it, he is calmer and more focused. He doesn't scream as much, and he even seems to be more stable when he is walking. His teacher and speech therapist also commented on how much calmer he was today in school and in therapy. The quality of the garment is excellent, also. I especially appreciate how the flap behind the zipper is constructed, as it is quite easy to zip up without pinching our son's skin. " " There is absolutely no price I can put on the value and benefits my son and our family have received and outcomes we have experienced with our son, Kyle using SPIO as a tool to help him with his Sensory Processing Disorder. The changes we saw were immediate and profound both at home and in the school environment. I can't say enough- the teachers noticed the change immediately, our family and friends noticed the change immediately. Our son, Kyle, noticed the change immediately stating "I love these shirts. They make me feel calm and relaxed." I believe SPIO's products helped us be able to effectively work with Kyle in his most troubled area (sensory) and manage it so we could then teach him the other skills he required. When Kyle attends school without the shirt for some reason or another, it is immediately obvious to the teacher. The Spio Upper Body Orthosis has done for my son something that no drug could ever do - give him a natural way to help manage his sensory processing challenges and couple them with effective OT training in order to maximize his potential. Thank you Spio! " " Hi, I just wanted to drop you an email to describe my daughter, Sophia (who has Wolf-Hirschhorn syndrome), progress since she received her SPIO suit. I have seen significant changes in Sophia's ability to sit as well as grasp objects. She has gone from being shaky while sitting unassisted and grabbing/holding objects to being much better at sitting as well as being able to control her hands much better. The difference is quite noticeable and we plan on her wearing the suit as much as possible. Once out of the suit, I have noticed that she seems to be able to sit more confidently and reach for and grasp objects. It appears the effect of the suit carries on even after she is out of it. We are very pleased with the suit and are quite impressed with it. Additionally the quality and construction are first-rate. So far all seems are holding up well and the suit is wearing well. " " I am Mom to 5 1/2 year old twins. My son has high functioning autism and my daughter has sensory processing disorders. Both have vestibular and proprioceptic issues that impact their gross and fine motor skills, attention, body awareness, and activity levels among other things. Both are constantly in motion. When the kids were three, our occupational therapist suggested that I try SPIO. He was thinking especially for my son, however, I purchased a SPIO for both children. The results with my son were noticeable, but the change with my daughter was dramatic and instantaneous. It was simply amazing. This little girl who could not stay still enough to sit in a chair (to the point that she frequently fell out of chairs within minutes) was immediately still and able to attend to classroom activities. What happened over the next few months was quite dramatic. She had been given a standard assessment measuring her pre-school readiness just a month before getting the suit. Three months later she was administered the same test, the results showed that she had progressed more than 9 months in development in that three month span. With SPIO, her fine motor skills increased as did her ability to attend, follow directions, apply her imagination to drawing, and learn new concepts. It was truly the key to unlocking a major development spurt for her. Thank you for making such wonderful products. " " Seriously the more times my son wears his SPIO I can definitely tell a difference then when he is not. He even enjoys wearing it. Our two SPIOs we ordered are on their way so we will be all set for summer! What a blessing the SPIO and OT has been "
" I am seeing a ~15 month old girl who has low tone throughout her body, is small for her age, and took months to begin movement. I’ve been seeing her in the pool for about 4-6 months now which seems to have gotten her onto a better trajectory. We’ve begun working on standing I believe a couple months ago with hopes of cruising but she still needed help to shift her weight last Wed. I put a long-sleeve shirt (47) on her and she still needed help to shift her weight at the bench on the deck. I sent the SPIO home in order for the child and parents to practice with it. Mom sent me a video of her independently cruising at her couch on Thursday, the next day with the SPIO on! I had predicted she would be cruising by the weekend or Monday if they were able to give her the opportunity to practice and she beat my prediction by at least 2 days! Impressive! " " I was seeing a 3 year old with an Autism diagnosis who I found to have improved behavior during therapy in the swimming pool. I thought we could replicate the compressive feeling of the swimming pool with a SPIO flexible brace, but I never dreamed the impact would be so profound! It was traumatic to get on, which I anticipated, but once it was on the change was immediate. He maintained eye contact for the first time. The self-injurious behaviors stopped, and most touching was when he went up to his mother, put his hand on her cheek and said, "Mom". Up to this point, he had never said a word before. His mom reported the next day he grabbed his thermos out of her purse, while they were waiting for an appointment, sat down and started eating! Again, a first! Thanks, SPIO! " " Our 10 year old daughter has a rare genetic syndrome that causes many problems including hypotonia. She has always been a sensory seeker (deep proprioception) and wore Theratogs from ages 3-5+. We found Theratogs to be very helpful for her and count them as one of the reasons she learned to walk at age 4 (very rare for her syndrome). There was definitely a learning curve to putting them on and they were somewhat difficult to use with a child in diapers, however completely worth it in our experience. She basically grew out of them and we didn't replace them. So recently we came upon difficult times with our daughter when we thought she thought she would benefit from the organization she seemed to feel while wearing Theratogs years ago. Her OT recommended the Spio Suit, upper and lower. We were really eager and excited to have her wear them considering the overwhelmingly positive reviews, but they just didn't help her like they've helped others. Yes, she liked them (or didn't protest), but they didn't help her organize herself, nor did it decrease the amount and frequency of difficult behavior. 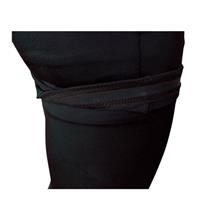 Though they are much easier to apply than Theratogs, we found them to be too hot to wear in the summer time in So. CA. We will continue to try them when the weather cools. 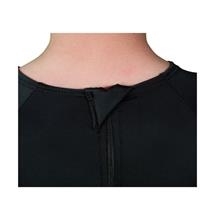 In addition, they do seem a little pricey for basically a workout outfit/spandex shirt and leggings (compared to Theratogs which are made from a wet suit-like material). Having said that, I highly doubt you could find a similar product elsewhere. "